It wasn’t very long after I stepped into the business of film production, when I realized – my job is fun. Meeting new people in different places, the collaborations with professionals, the wacky products, and the curious and fantastic locations – have made most of it all big fun. I blame technology for some of it. Sure, digital has made certain things easier and others better. But when it comes to the ease of “creating a final image on a screen” – that’s only fun for one person. The photograph above is from a fun day on a photo shoot for a commercial print ad. It happened before the infestation of the graphics editing software that begins with a P. In a bit of irony, the product and “hero talent” also began with the letter P: a pharmaceutical for pigs. The creative hook was: Your pigs are valuable. Let’s put pigs in an armored car. I scouted and found the pig farm, hired a capable pig wrangler, rented the armored car, and hired the real models. 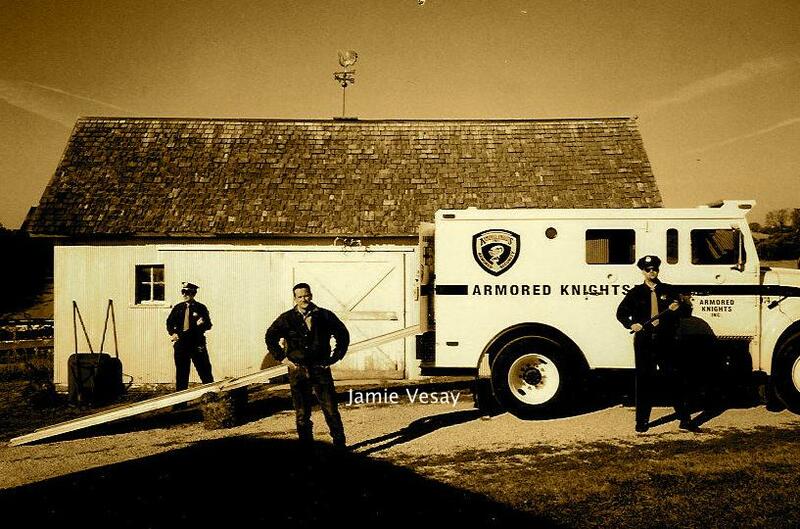 The Photographer shot the real pigs as they walked up the ramp into the real armored car. Challenging but fun. Today, sadly, this shot might be a collection of stock photos and an assembly of “layers” birthed on a monitor. Sure, it’s cool and it might end up being something semi-unique for the client. But doing it this way has summarily reduced the value (and use) of locations and location scouts – and in this case, even nixes the Photographer. Most importantly though, it deletes the on-set collaboration and fun. Photos and words COPYRIGHT Jamie Vesay 2015 ANY USE requires permission. Previous Post What is Over-Produced?